The thing about human ingenuity is that you don’t know where that next great idea will come from—who the next big thinker will be. Our ambition at the American Hearing Research Foundation is to make that next transformative discovery possible. At the American Hearing Research Foundation (AHRF), we recognize the boundless potential of new ideas. That’s why we focus our resources on providing seed grants for novel research to better understand and overcome hearing and balance disorders of the inner ear, funding five to ten research projects each year, with an average grant of $20,000. We also work hard to educate the public about these life-altering conditions, which are inextricably linked to people’s quality of life and their ability to meet the challenges of day-to-day living. Tracing our roots back to the first-ever successful operation to restore hearing, AHRF has been making new discoveries possible for more than 60 years. Founded in 1956 by Dr. George E. Shaumbaugh, Jr., our mission is to better understand why we lose hearing and balance functions and to learn all that we can about how to preserve and restore them. 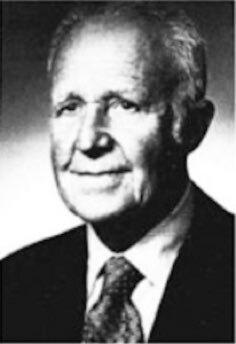 Advancing research and knowledge to help people with hearing loss and balance disorders was the life’s work of Dr. George E. Shaumbaugh, Jr. (1903-1999). The American Hearing Research Foundation is his legacy. 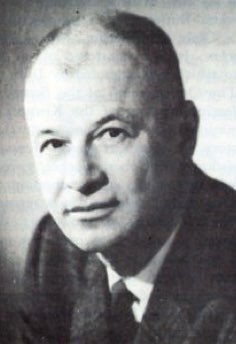 In 1938, Shaumbaugh was instrumental in developing and performing a groundbreaking surgical technique called fenestration. Together with Dr. Julius Lempert (1890-1968), Shaumbaugh performed the first-ever successful operation to restore hearing, using this technique. Fenestration restored hearing specifically to people with otosclerosis—a condition that leads to hearing loss when spongy bone grows in the middle ear, ultimately preventing the small bone known as the stapes from vibrating. The stapes must vibrate for hearing to be possible. Fenestration led the way to more advanced techniques. Today, fenestration has been replaced by another class of procedures known as stapedectomies, which remove the damaged stapes bone and implant an artificial one. Once again, researchers associated with AHRF were instrumental in the development of these leading-edge procedures. AHRF exists thanks to the generous donations from individuals and organizations who understand the tremendous impact that loss of hearing and balance function has on people’s lives. In 1940, the Chicago Community Trust provided a $10,000 grant to build and equip a laboratory at Wesley Memorial Hospital in Chicago. Later, in 1942, grants from the John and Mary R. Markle Foundation of New York kept the lab going and helped establish a temporal bone histopathology laboratory. The temporal bone is part of the skull that encloses the hearing and balance systems within the inner ear. More gifts, given in 1944 from grateful patients of Dr. Shaumbaugh and Dr. Eugene L. Derlacki, a prominent otolaryngologist and a co-founder of AHRF, helped them build and equip a hearing clinic at Northwestern University Medical School. This was the first clinic of its kind and proved to be the genesis of many pioneering diagnostic procedures. The establishment of that hearing clinic at Northwestern paved the way for the creation of the Mid West Hearing Foundation in 1956—which later became known as the American Hearing Research Foundation. Since those early years, AHRF has broadened its geographic scope and impact. We invite you to learn more about our 60-plus year history and accomplishments by viewing our historical timeline below. Researchers establish the not-for-profit, Mid West Hearing Foundation (MWHF), to continue research into hearing loss and balance disorders of the inner ear. MWHF establishes a tissue culture laboratory at Northwestern University to study living cells of the inner ear. The first of five international workshops for otologic surgeons is held at Northwestern University, sponsored by MWHF and later by its successors, the Mid America Hearing Foundation and the American Hearing Research Foundation. Subsequent workshops take place in 1963, 1967, 1971, and 1976. MWHF renames itself the Mid America Hearing Research Foundation (MAHRF) as its reach and influence expand. MAHRF establishes an ENG (electronystagmography) research laboratory in Chicago to study balance disorders related to the inner ear. MAHRF opens its first office, adjacent to the ENG research laboratory in Chicago, and hires its first full-time Executive Director. MAHRF establishes a cytotoxic food testing laboratory to study the relationship between food allergies and hearing loss, Meniere’s disease, and perforated ears. MAHRF publishes its first newsletter to share information on hearing-related research. William L. Lederer begins his 37-year leadership role as Executive Director. MAHRF establishes the Women’s Board to raise funds for hearing research and hearing health education. MAHRF begins funding research projects throughout Canada and the Un. Dr. Derlacki establishes the first Ear Homograft Laboratory in the midwest at Northwestern Memorial Hospital. The lab processes, stores, and supplies otologic surgeons with tissues from the ear—including ear drum membranes and middle ear bones (malleus, incus, and stapes)—to be implanted in patients with hearing loss associated with the damage of these structures. Ninety-eight percent of the 300 ear homograft transplants performed from 1972 through 1981 were successful. Only 2 percent were rejected. MAHRF changes its name to the American Hearing Research Foundation (AHRF). AHRF provides support for the creation of an Electrocochleography Laboratory at Mercy Medical Center in Chicago. Electrocochleography measures electrical signals generated in the inner ear in response to sound, allowing physicians to objectively test for hearing loss in infants and others unable to answer questions about their hearing. AHRF-funded film, “Deafness: The Invisible Divider,” wins first prize in the public health film category at the 24th Annual Columbus Film Festival. The film, produced by Mrs. George E. Shambaugh, was considered revolutionary in its use of leading-edge technology to distort sound, allowing viewers to more fully experience life as someone with hearing loss. AHRF conducts the first of five annual mid-winter symposia for ear, nose, and throat specialists around the world in Snowmass, Colorado. AHRF conducts several symposia starting in 1978 as well. AHRF creates the Temporal Bone Laboratory in Chicago, which goes on to participate in the nationwide Temporal Bone Bank Program. Temporal bones (the part of the skull that encloses the hearing and balance systems within the inner ear) are harvested from deceased people known to have had hearing loss or ear disease and preserved for study. AHRF renames the Electrocochleography Laboratory established in 1975 the Donald T. Forsythe Otologic Neurophysiology Laboratory, in honor of its Board Chair. AHRF names Dr. Jack D. Clemis as the lab’s Director. Acoustic Reflex Latency Testing—a simplified neurophysiologic testing technique to diagnose tumors and other ear diseases—is developed. AHRF begins an otologic fellowship program for medical post-doctoral physicians worldwide. AHRF establishes the Roy W. Davis & Harry S. Himmel Hearing Research Laboratory in conjunction with Kiwanis International and Northwestern University. The Brainstem Auditory Evoked Response (BAER) test is developed to test hearing loss in infants and very young children. The test measures responses in brain waves that are stimulated by a clicking sound to check the central auditory (hearing) pathways of the brainstem. AHRF receives a $40,000 grant from the Kiwanis International Foundation and establishes a laboratory at the Siegel Institute for Communicative Disorders at Chicago’s Michael Reese Hospital and Medical Center to undertake projects focused on solving the most significant problems faced by otolaryngologists and audiologists in clinical practice. The National Institutes of Health (NIH) awards a 3-year grant of $140,000 to AHRF’s Binaural Hearing Project to investigate the effects of middle ear lesions and surgery on the ability to localize sound. AHRF begins annual funding of five to 15 research projects in the US and Canada to better understand and overcome hearing loss and balance disorders of the inner ear. Today, AHRF continues to fund new research projects each year. For the first time, AHRF calls for research proposals from university researchers and university-affiliated clinics and hospitals throughout the US and Canada. School teacher and long-time supporter of AHRF, Georgia Birtman, bequests $2.1 million to the Foundation. AHRF launches its first website, www.american-hearing.org. AHRF and the Northwestern Memorial Foundation establish the Georgia Birtman Grant, a one-year $25,000 grant to support research and education in otology and neurotology. 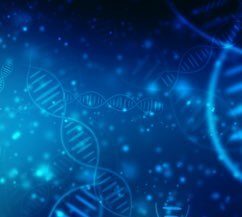 AHRF-funded research leads to the discovery of the human deafness gene, TMIE, giving hope that research findings could eventually lead to a screening test and therapy for families affected by one type of inherited hearing loss. AHRF celebrates its 50th anniversary. AHRF and the Northwestern Memorial Foundation award $75,000 to a post-doctoral fellow conducting cutting-edge research at Northwestern Memorial Hospital. Previously funded AHRF researcher finds that high doses of certain antioxidants reduce noise-induced hearing loss in animals when taken both before and after loud noise and gets closer to developing a blend of antioxidant vitamins that could treat and prevent acute noise-induced hearing loss. AHRF-funded research finds that hearing damage in the inner ear due to loud noise may occur long before hearing changes are perceived. Study also identifies a chemical factor that may aid in restoring noise-induced hearing loss, giving hope that these discoveries may ultimately lead to therapeutic interventions to treat acoustic trauma in the future. AHRF-funded research reveals how the inner ear amplifies sound, using an innovative laser technique. Another AHRF-funded study discovers hair-cell roots, suggesting the brain modulates sound sensitivity, potentially changing the way researchers think about hair cells in the inner ear. In its 60th anniversary year, AHRF renames its otolaryngology residency grant program after the late Bernard and Lottie Drazin to honor their generosity to the Foundation. AHRF funding reaches more than $1.4 million in research grants toward more than 65 projects since 2010. AHRF launches its new website.